Do you suffer from Information Overload Syndrome – IOS? To begin blogging for this week, I decided to take a look at videos that help to explain exactly what information overload really is. While this video obviously has no grounding in scientific fact, I believe many elements of today’s society ring true throughout. In a comical manner, this video demonstrates how we are constantly bombarded with information we don’t necessarily care about. Similarly, it comments on our dwindling ability to separate ourselves from the technology to which we have grown dependent on. I believe these and other issues are central to the downsides of information overload. I then began to consider how, exactly, information overload affects me. Immediately when I think of curation of mass information in an online environment, I think of Tumblr. 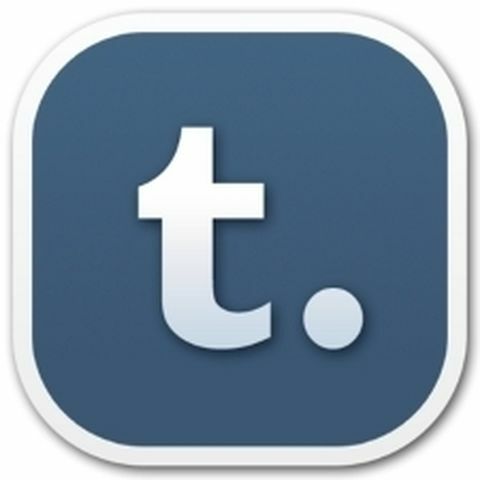 Tumblr is a blogging site that allows users to select items they would like on their own blogs from a “dashboard” of content posted by other users that they choose to follow. Being a big Tumblr user, I recognize the curatorial capacity of this site instantly. However, I am also familiar with its downfalls. I track the Protest the Hero tag religiously and am often disappointed to see the same content posted by different users over and over again. Much to my delight, in researching the downfalls of Tumblr’s curatorial practices, I happened to stumble across this article, which explains that Tumblr hopes to develop a curatorial feature for all blogs. This is something I believe would serve to greatly enhance the online experience of dedicated users and help to reduce the amount of information overload present within the site. While this article is from a couple of years ago, I am still hopefully that something along these lines is in the works! However, as theorists such as Clay Shirky would argue, the ownness is perhaps not on the platforms themselves; rather, the responsibility is that of the user. I decided, then, to take a look at some ways in which I, as a user, can take steps to reducing the ill-effects of information overload. I found this article valuable in outlining these steps. While the authour online touches on three key areas of limiting incoming information, I believe that all three are invaluable in moving towards a more efficient online experience. Specifically, she focuses on pull information rather than having it pushed to you, making use of filters, and setting aside “quiet time.” The very thought of incorporating these into my daily online routine was enough to give me a sense of peace, and so I definitely plan to make use of them in the future. In conclusion, I leave you with these questions: as we move forward in the technological world, it seems that the problem of information overload is only going to worsen. What do you believe are some key factors in making information overload more manageable? Do you incorporate any of this practices in your online routines currently? If so, which, and why?